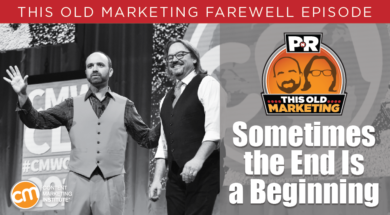 This text and the accompanying 30-minute video comes from my Content Marketing World 2018 keynote presentation. On Dec. 31, 2017, I “retired” from marketing and took a sabbatical for 2018 (which, as of this publishing, I’m still happily on). I’ve given over 400 keynote speeches in 18 countries, but this one was the most personal. The team at CMI is nice enough to publish this so the entire CMI audience can watch and read it. 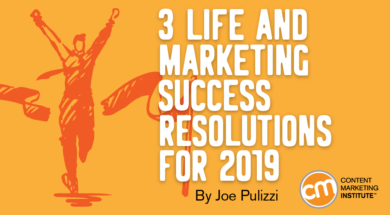 I hope there is something here that will help you in your life or your marketing (hopefully both). In our grand finale episode, Robert kicks things off by pondering the decision to end something, so that something else can begin. We answer listener-submitted queries, and ask a few of our own; then we sign off with a final farewell inspired by a few of the greats. This is my last article for a while, so I really wanted this one to make an impact and stay with you. Even though the amazing CMI editorial team wanted me to write about marketing, I wrote this instead (ha). It’s my favorite question, both because it’s the easiest to answer and something that almost no one does. The answer is about setting goals. I’ll get to the specific formula below, but first, let’s take a step back. 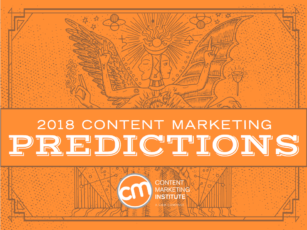 It’s hard to believe that, after 10 years, this will be the last time I share my annual list of content marketing predictions for CMI. Not to get all sentimental or anything, but looking into the future of our industry and anticipating the content and media trends most likely to impact our businesses has always been a favorite part of the job … and it will be one of CMI’s content experiences I’ll miss the most as I retire from CMI this month. But, as change is the only constant, it’s time to put the past aside and focus on the challenges and opportunities that lie ahead. 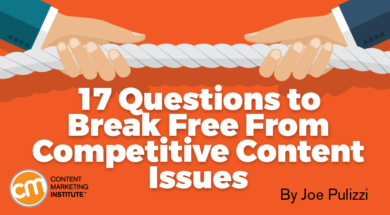 And, if anyone can help lead the content marketing industry forward and prepare you for what’s to come, it’s the group of experts who contributed to our 10th annual e-book of content marketing predictions. 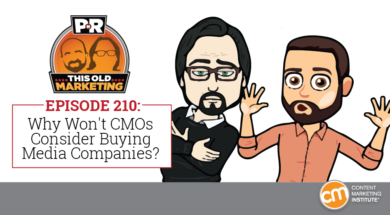 This Week in Content Marketing: Why Won’t CMOs Consider Buying Media Companies? 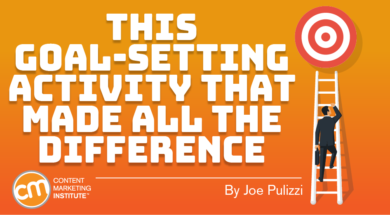 In this final regular episode, Robert ponders the nature of doing nothing (and doing it well). We discuss which company we feel is most likely to buy Fox, and whether Apple will ever really buy Disney. We also examine an increasingly disturbing web content trend, and media companies’ rush into the agency services business. Our rants and raves include net neutrality and audio content; then we sign off with an example of the week that takes us back to our own humble roots. 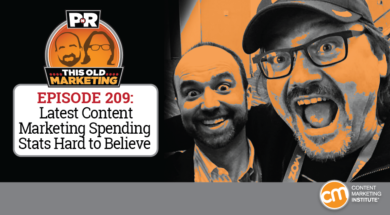 This week, Robert ponders the nature of “violent agreement.” We unpack the latest content marketing spending research – and debate whether or not we can actually believe it. Marketing predictions are back again, and we also discuss why Casper is putting Van Winkle’s to sleep. Our rants and raves include building an audience, Snapchat, and the art of questioning; then we close the show with an example of the week on the Maxwell House Haggadah. In 1998, I became the investment club guide for About.com. My responsibilities included the creation of at least one original article per week on the topic of investing or investment clubs, as well as development of the e-newsletter for the subscribers of that channel. I absolutely loved it. 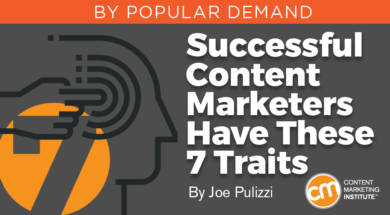 Every piece of content I created scored more traffic. 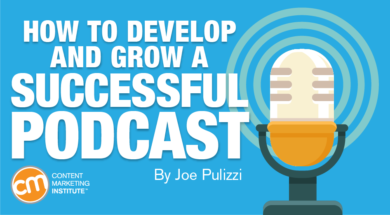 The formula seemed so easy … just create article after article answering questions about investment clubs and the audience grew and grew. About.com had hundreds of guides like me covering almost every topic imaginable. By the early 2000s, About.com was one of the largest websites (by audience traffic) in the world. At that time, it was all about scale … creating content for everybody. Yahoo did it. Microsoft did it. Excite.com did it (I owned stock in that little disaster). It was about scale until it wasn’t about scale. 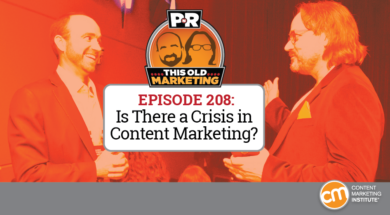 This Week in Content Marketing: Is There a Crisis in Content Marketing? This week, Robert ponders how we handle filling big shoes. We discuss recent reader revenue moves from CNN and the Guardian, and why Facebook may have nothing to fear from ad blockers. In other news, we debate whether content marketing is in crisis or on the verge of its biggest opportunity yet. Our rants and raves cover audience building and how the flight to video could hurt publishers; then we close with an example of the week on the Electric Boat Company.